Our multidisciplinary team of executive coaches, career transition experts and HR specialists have deep experience and deliver customized services for outplacement transition, leadership development and organizational effectiveness. We provide a range of specialized HR solutions to support organizational performance including legislative matters. Career Compass provides premier outplacement - transition support with a legacy that started in 1975 serving all sectors and industries . Based in the Greater Toronto Hamilton Niagara Area we offer convenient locations as well as coast to coast service. 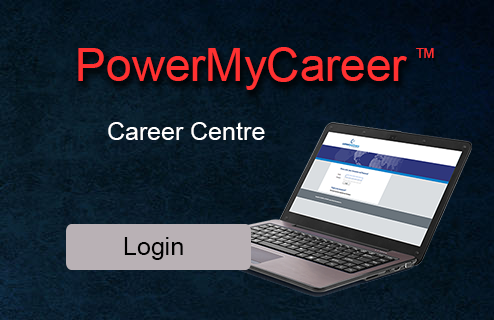 Our experienced career coaches primary goal is to ensure we provide a meaningful experience to get job candidates to their career destination of choice as soon as possible. Services are custom designed to achieve desired outcomes and include full resume preparation, interviewing exercises, job search strategies, advanced networking, use of social media, career development, skills training to support continued growth and general support for emotional wellness. The foundational approach is to provide comprehensive support to landing by creating a powerful personal brand that connects with recruiters and hiring managers. Outplacement - transition programs are developed for effective and economical delivery to ensure a positive experience for participants with faster landings and increased job satisfaction. Experienced and credentialed career coaches provide the personal and professional support each person deserves during their transition to a new job, a second career or starting their own business venture. Dedicated one on one coaching provides for personal attention with coaches who care and will work diligently to see their job candidates be successful. Being agile allows us to respond quickly to any size assignment from one person to large scale downsizing initiatives anywhere. Key to our outplacement-transition delivery model is providing the best solution to serve various levels of impacted employees including: front line support, professional, supervisory, senior management and executive. We also provide on site support by our trained notification team day of event and can assist with exit planning including strategy, communication, logistics to ensure minimum team impact and dignity for those departing. Outplacement transition participants agree, with high engagement rates and a consistent 99% satisfaction rating! Empower your leaders to succeed. Sanction the mindset, tools and strategies to overcome challenges and reach their true potential. Endorse a partner in their journey for excellence. 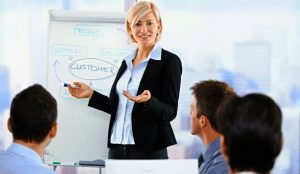 An experienced ICF-certified executive coach provides a safe environment for leaders to learn and challenge themselves. They provoke individuals to answer the tough questions, better understand their gaps, develop their soft skills, and take action for personal and professional development. Our HR experienced and credentialed team can help your business implement new legislative changes that could impact your work force and bottom line results. Our team provides comprehensive HR support to ensure your company is meeting all regulatory requirements and has policies and procedures in place to keep your team engaged and company fully compliant to meet Ministry of Labour regulations. We provide innovative solutions that are designed to best fit your needs and help to grow your business through organizational effectiveness and readiness. Clients from across various sectors rely on our the deep experience to provide guidance across the full suite of Human Resources services coupled with best practices. Contact us to day to explore how we can help. 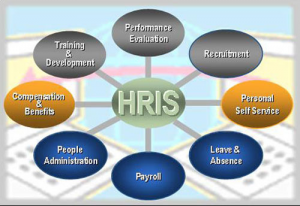 Human Resource Information System - HRIS - is a software platform that fully integrates a number of key HR functions for greater efficiency, accuracy and effective data management. HRIS systems have become very affordable for small business as well as being used by enterprise business organizations. Typically they are offered with various modules such as payroll, employee documentation tracking, training activities, benefit administration and time tracking to name a few. Given the importance of government compliance and accurate employee record keeping we highly recommend this integrated and automated management system. A member of our team will review best options and recommend a solution for your company needs and supervise implementation to ensure a seamless rollout. "I have never been so impressed by an organization nor any help that I have ever received in my life, as I have been by Career Compass Canada"
Career Compass Canada is a trusted leading national full service Human Resources and Career Transition firm providing innovative solutions to solve challenges and provide custom program delivery that align with changing business demands, goals and objectives. We are experts in outplacement and career transition support, career management, executive coaching - leadership development and organizational effectiveness solutions. Our experienced and credentialed career/executive coaching team will respond promptly with options that meet needs and budget. You can count on the Career Compass Canada team to provide supportive crisis management and be your partner for smooth seamless comprehensive program rollout to meet desired sustainable outcomes for your people. For a full range of leadership and management coaching services please visit our specialized coaching division - Executive Coach Global. Developing a career pathway for growth and reaching potential by branding your professional DNA requires focus, strategy and thought. This combined with creating a strong value proposition that is clearly communicated across multiple platforms opens up new opportunities for career growth and landing new jobs. Strategic career branding and marketing guidance from expert Career Compass Canada coaches sets the stage for career development and success. Preparing people for internal and external role transition and connecting with opportunities is what we do best. Promote higher standards of leadership for organizational effectiveness. Facilitate awareness, build skills and inspire behavioural change. 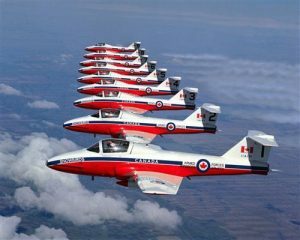 Advance performance-driving thinking and action for individuals and teams. Alignment, trust, respect, and communication are the foundation of progressive leadership. For emerging leaders and seasoned executives alike, coaching is a vital component to building cohesive, productive teams. The Career Compass Canada approach creates engagement and focus through a range of customized training and developmental solutions that drive alignment with business goals and outcomes. Is your company/organization aligned and harmonized to ensure maximum efficiency and performance? Work teams and leaders who operate in silos impede growth and generate unnecessary stress and conflict that leads to problems and lost opportunities. Ensuring departments work together and understand common goals and strategic plans are key to problem solving, quality delivery and innovation. This helps to define a positive and focused culture to deliver exceptional customer service and team engagement across the organization. Building and sustaining a positive and supportive working environment that is fully aligned requires communication, trust, respect, accountability, consistency and implementation throughout the organization. A Career Compass Canada leadership coach will facilitate the journey for lasting impact. A strong and healthy corporate culture means innovation, success, engagement and retention to name just a few of the benefits. Bad culture will eat your lunch and create barriers to reaching ultimate performance. Culture is also part of our brand - who we are - what we stand for - how we make things happen - what and how we do business and how work with each other. 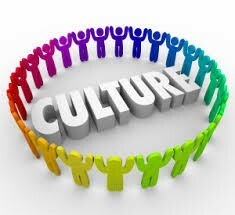 Culture is by definition the display of behaviors, attitudes, values and relationships. When you know the culture of a team or organization you can better understand its strengths, weaknesses and overall health. We all strive for a winning culture. But do we actually have one? Today’s cross generational workforce along with diversity has introduced new challenges for management to navigate for success and performance. As leaders we need to adjust our styles to have the right conversations - the days of one style fits all are well gone. Developing a sound culture is hard work and can get lost as we strive to handle day to day activities and challenges. Let our experts help to develop a strategic culture plan that makes sense for your organization to stay on track with focus and purpose.